No need to figure things out on your own. 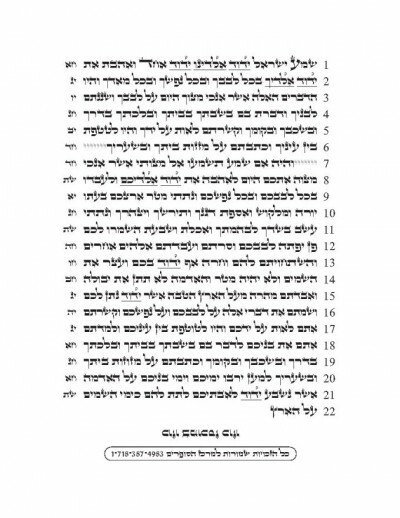 With Tikun Sofrim, you are provided exact direction on how to write a megillah. 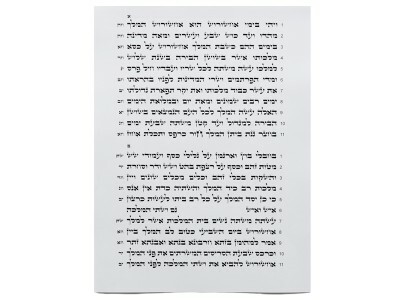 Whether you choose to write a tall megillah or a shorter one, with the multiple sizes and layouts available you are not alone. Tikun Sofrim directs you exactly where to start the words, how to space them well, and the amount of words per line and page. We at Merkaz Hasofrim know that many sofrim have different likes and styles, and sometimes you want to do something "unique". Whatever size you need, if you don't see it here, ask. E-mail or call us at Merkaz Hasofrim. We'll be glad to help you find the right size and / or any additional products you might need. Please note: If you are not sure about the page width you need, please select the option "According to Klaf Ordered." We will match the size to the Klaf you selected. 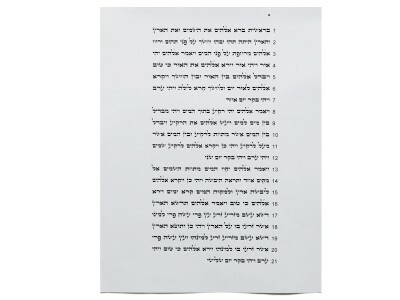 Tikun Sofrim Mezuza templates are available for convenient, hassle-free writing.